My notes that touch software development: languages, technologies, trends, personal experience. It happens that sometimes I have to write console application in C for Windows, and having only ASCII output is not always an option: basically, I need to have a possibility to perform text output in Ukrainian which is okay when you use UTF-8. Unlike others, Windows use legacy code pages system to make console work with natural languages text in different countries with different localisations, and that's a weird thing for Linux/Mac user. I work in Qt Creator when coding in C, and it brings another tricky thing: qt_process_stub.exe - a nasty utility which is run from the IDE, which actually runs your app. My task was to find a non-tricky solution to have a possibility to work seamlessly when debugging my C programs from Qt Creator. 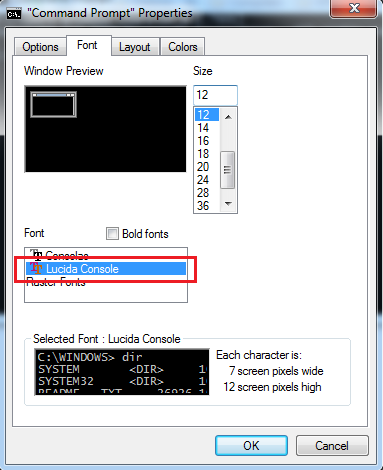 There, you have to choose Lucida Console font as it supports UTF-8 symbols (at least Cyrillic ones ;), and press OK button at the bottom of the dialog. Step 1.2: Choosing the need font. Now, we are capable of using UTF-8 text in console and even see something meaningful there. Cool! Now we use UTF-8 code page. But the problem is that when you close the terminal and start it again, the codepage will default to 437 again. 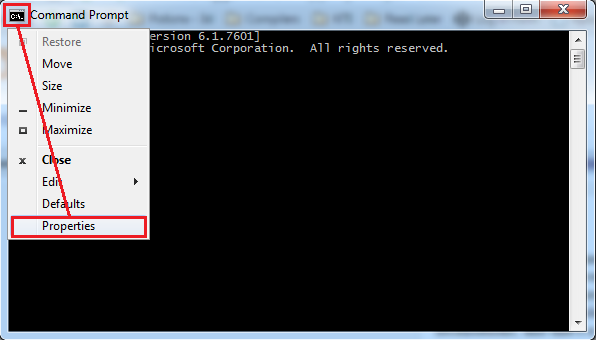 This command will fix the Qt Creator problem, but cmd.exe will still run 437 by default. If you want to change this setting globally, start regedir (if you have administrator rights, of course), and add a new setting to HKEY_LOCAL_MACHINE\SOFTWARE\Microsoft\Command Processor folder. Name it Autorun with value chcp 65001 >nul. As you can see, no weird character, only plain text. Thanks for reading. Hope this post helps to fix your troubles.